An important sign for a good business credit card is that it was especially developed for companies, self-employed persons and freelancers. Usually, customers get a package that includes two different credit cards, enabling them to separate business expenses and money spent on private matters. However, comparing different packages before actually ordering a business credit card may well be worth the effort because not all credit card companies have the same services on offer for the credit cards offered by them. For example, you should be able to get cash from an ATM machine abroad without paying fees with a business credit card. This is the only way an employee or a self-employed person can make sure that there are no additional costs when he needs cash on a business trip abroad. Moreover, the monthly statement should include different statements so that business expenses are listed on one statement while private expenses are listed on the other. This makes it easier to for the accounting department in the company. Furthermore, a business card should come with the opportunity to pay the outstanding amount as late as possible without having to pay interest. This is the only way companies are able to use credit cards without paying too many overheads. The management of the respective company should have access to all business expenses that have been charged to the credit card to be able to check how much money has already been paid and for what. On the one hand, employees´ expenses can be checked that way, on the other hand, costs can easily be estimated. Another important factor are the annual fees. Many business cards are free in the first year but fees have to be paid from the second year onwards. It is worth comparing different business credit cards with regards to the amount of fees. 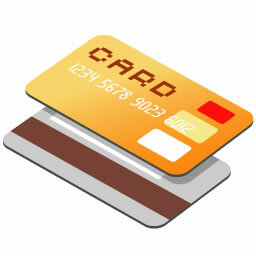 Usually, credit cards are free if a certain transaction volume is exceeded. Obviously, the transaction volume should be as low as possible. To sum up, an individual and thorough comparison is necessary for business credit cards, before signing up for a company one should invest some time. It should not become a financial burden for the company; on the contrary, a business credit card is supposed to make it easier to settle business expenses.